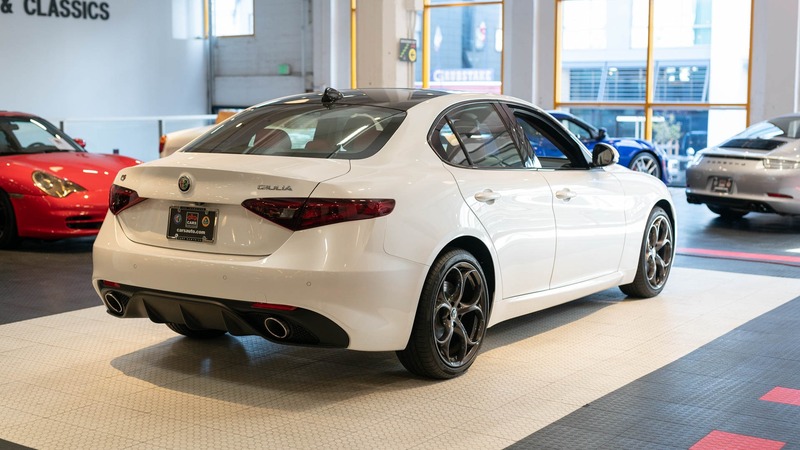 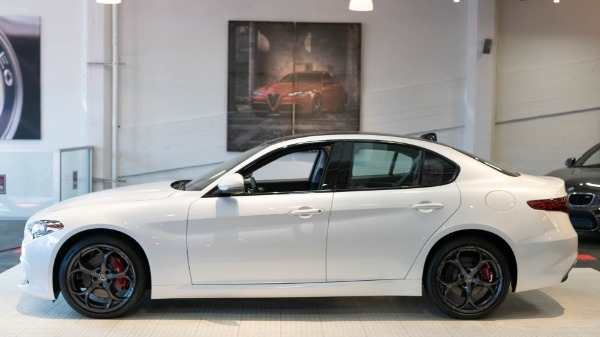 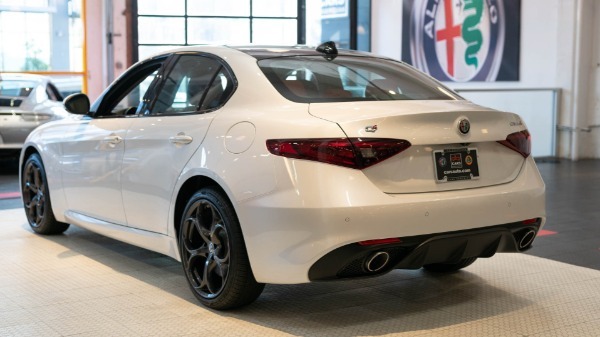 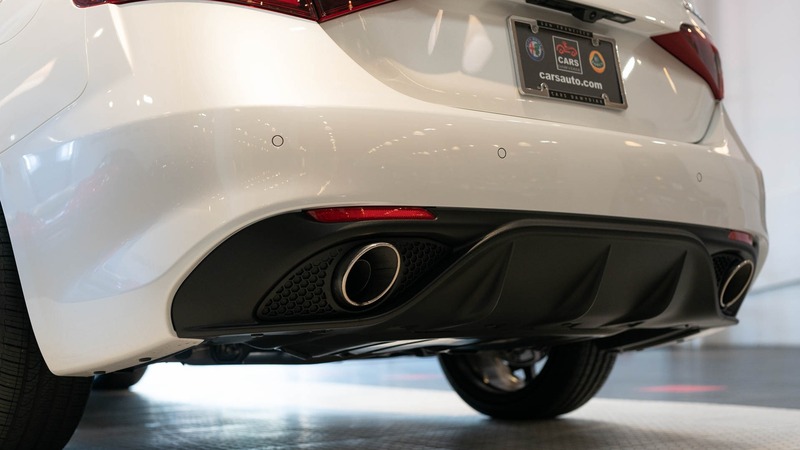 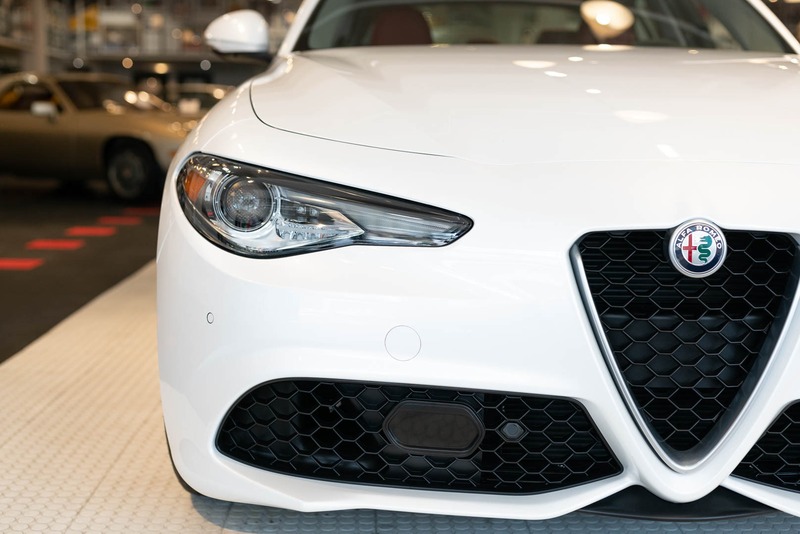 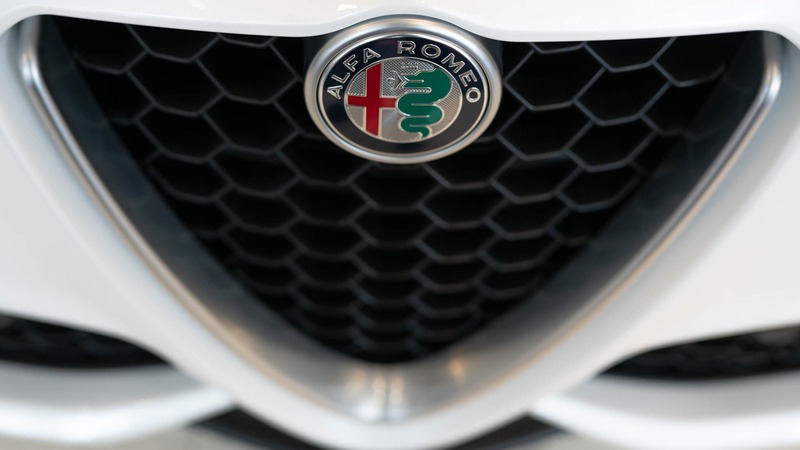 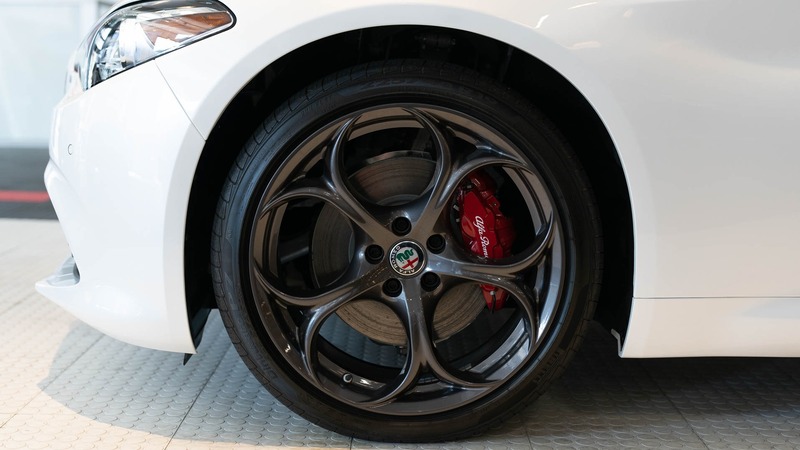 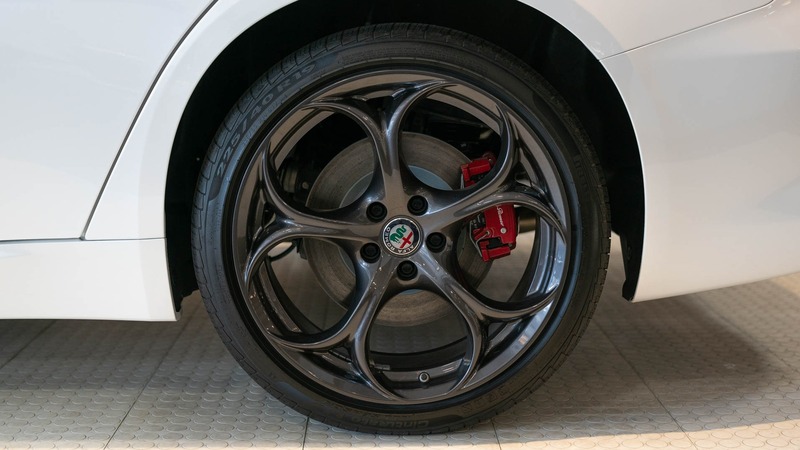 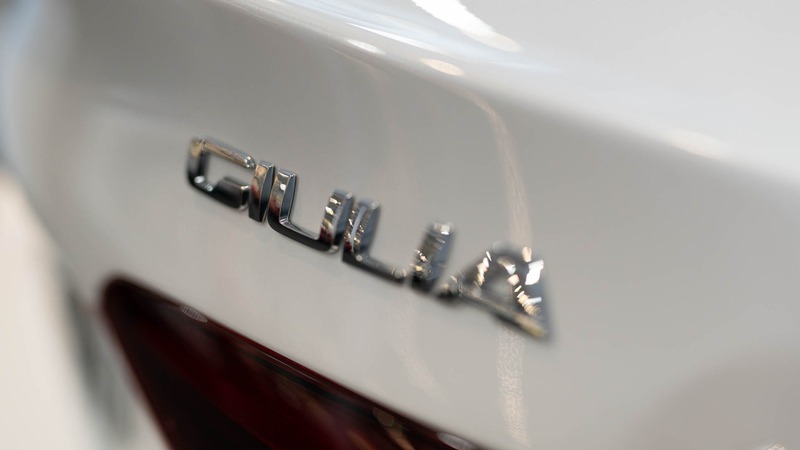 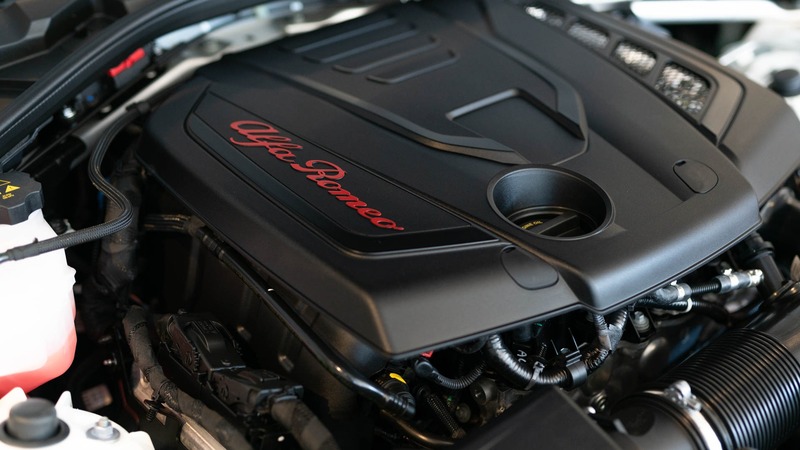 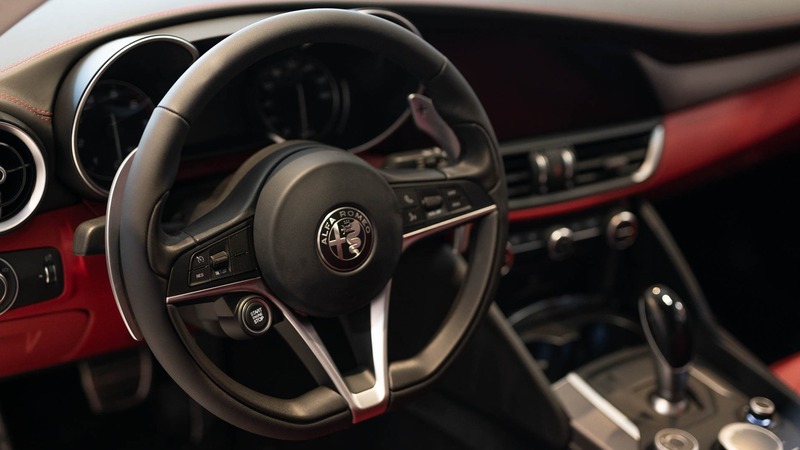 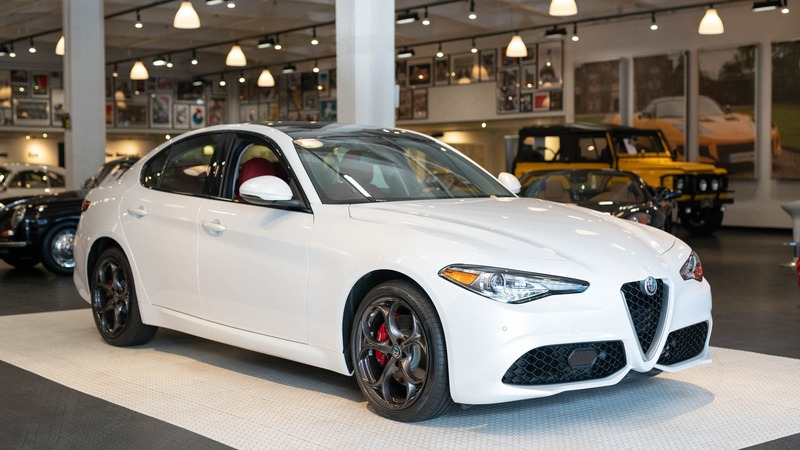 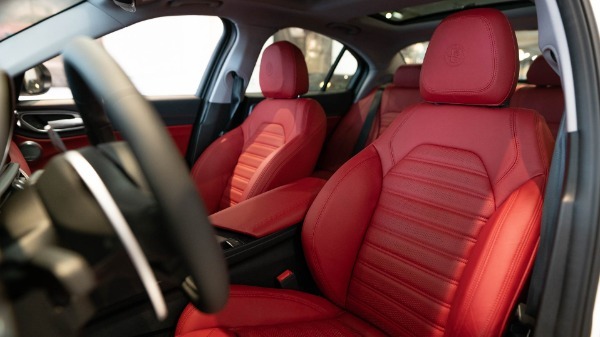 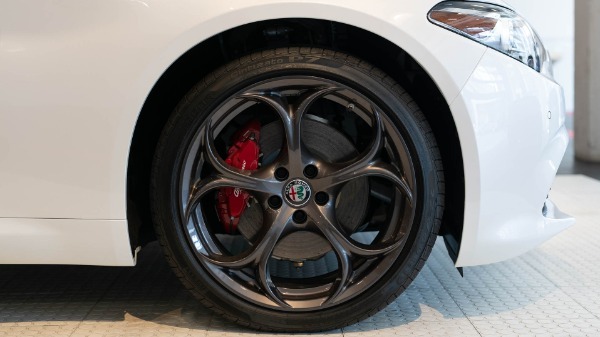 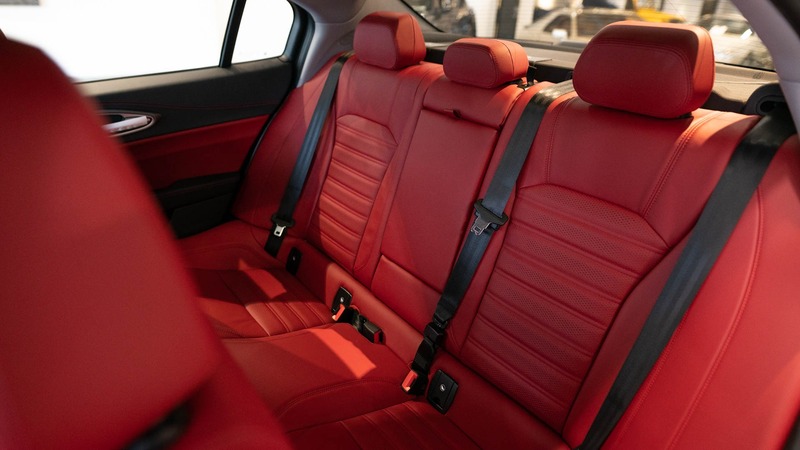 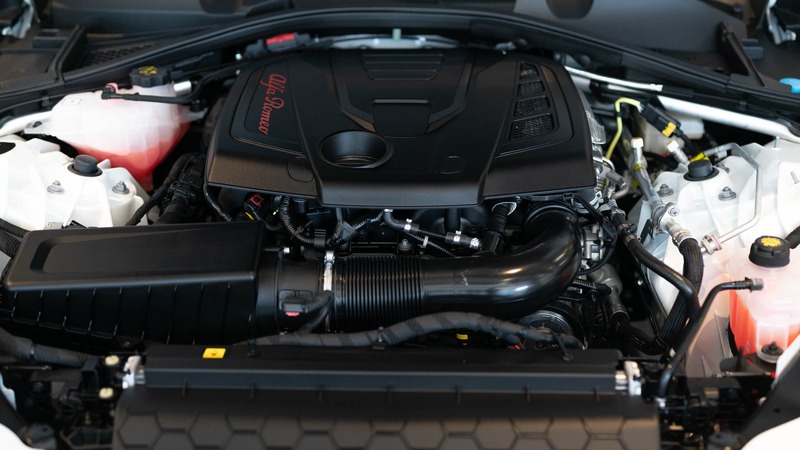 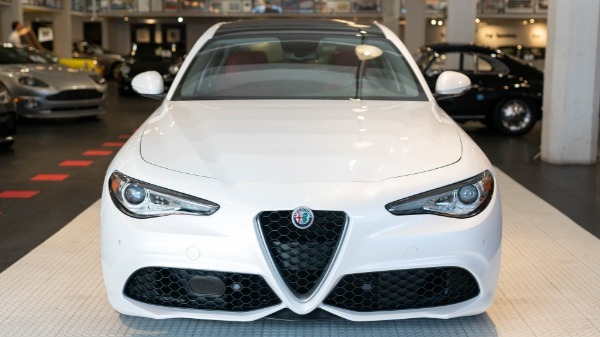 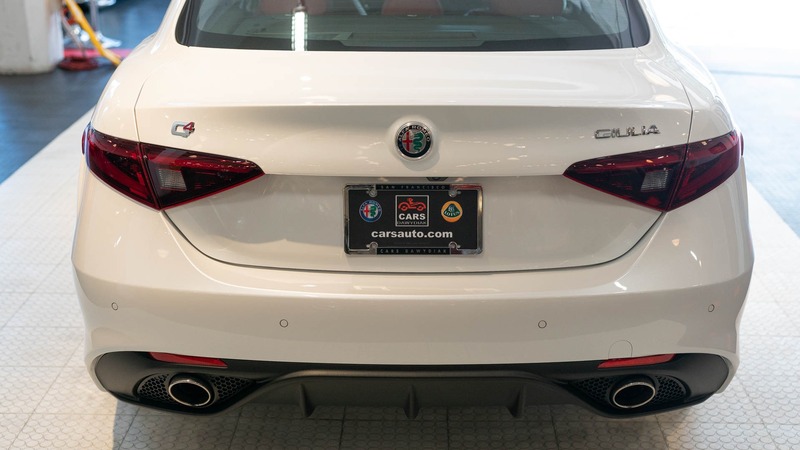 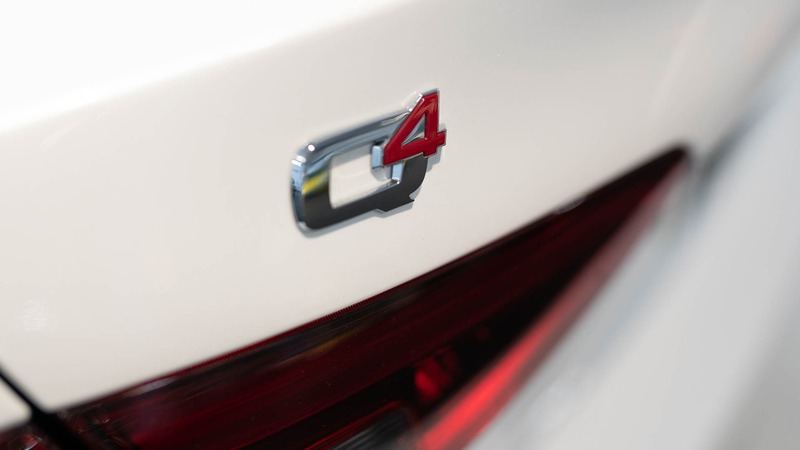 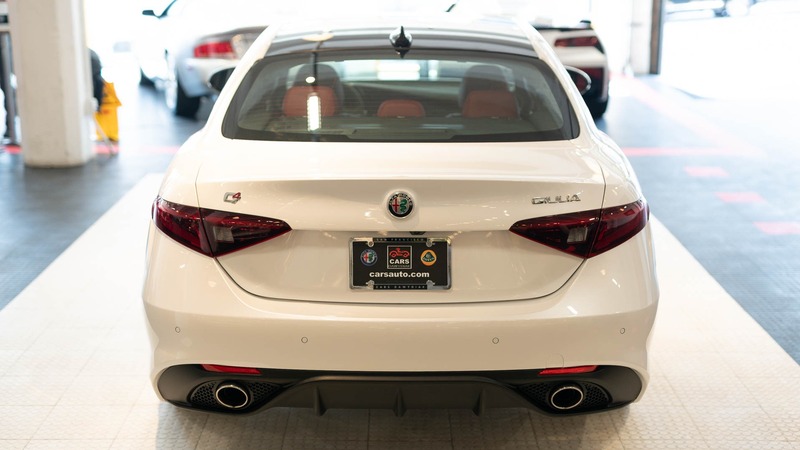 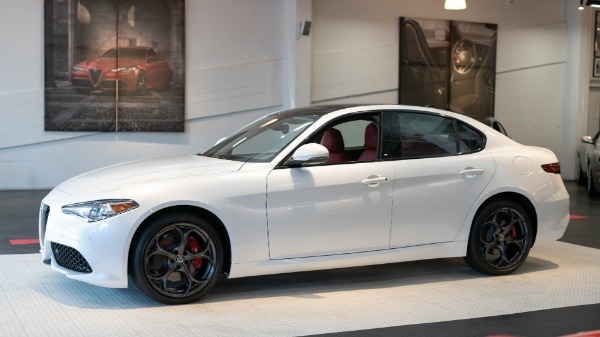 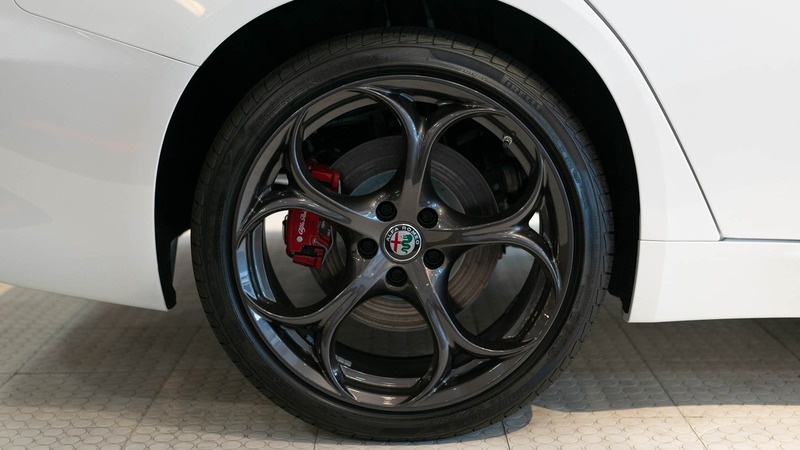 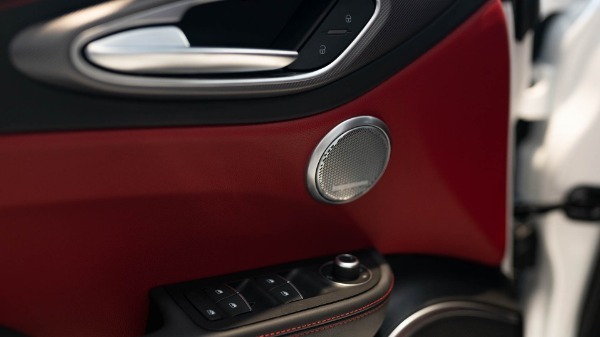 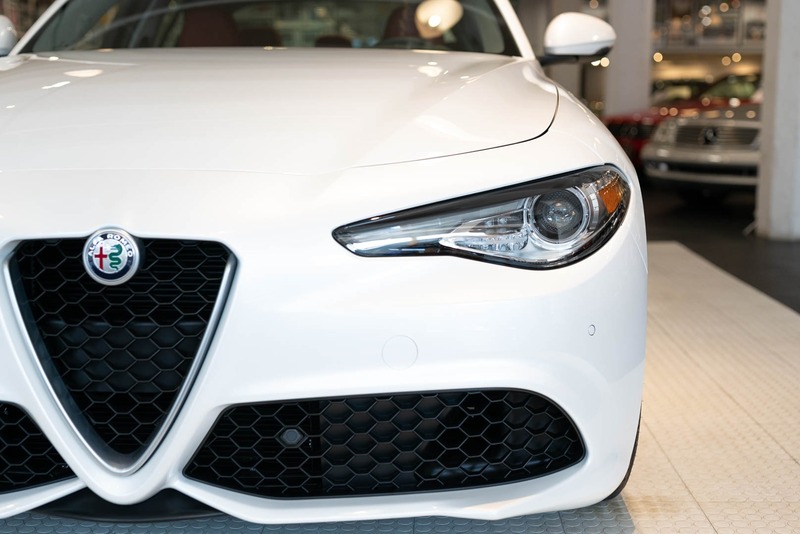 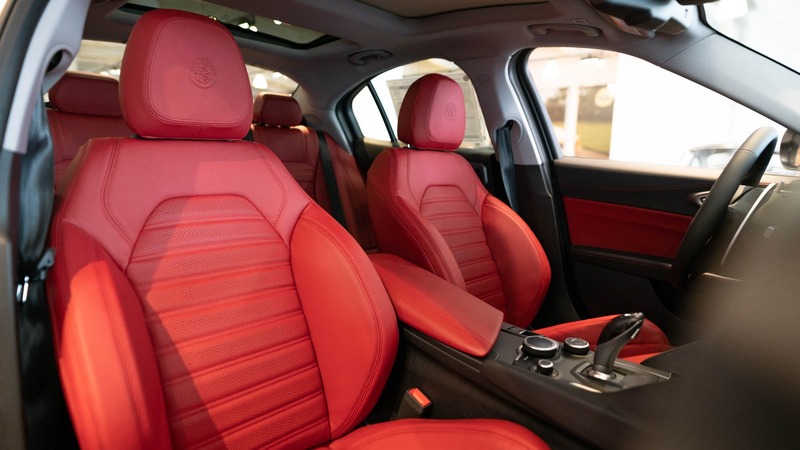 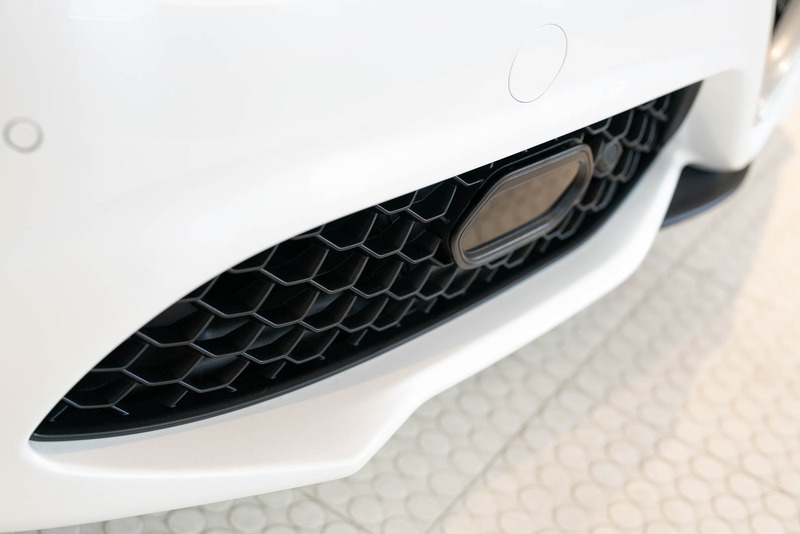 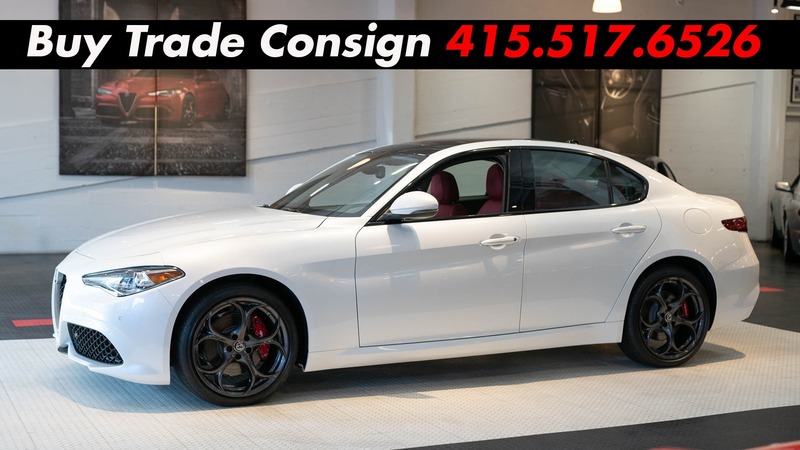 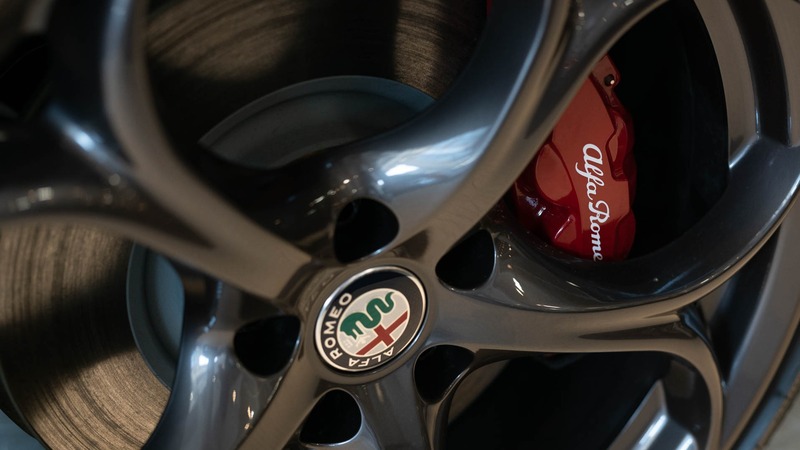 Presenting a local San Francisco Bay Area Giulia Ti Sport Q4 with a scant 1k miles. 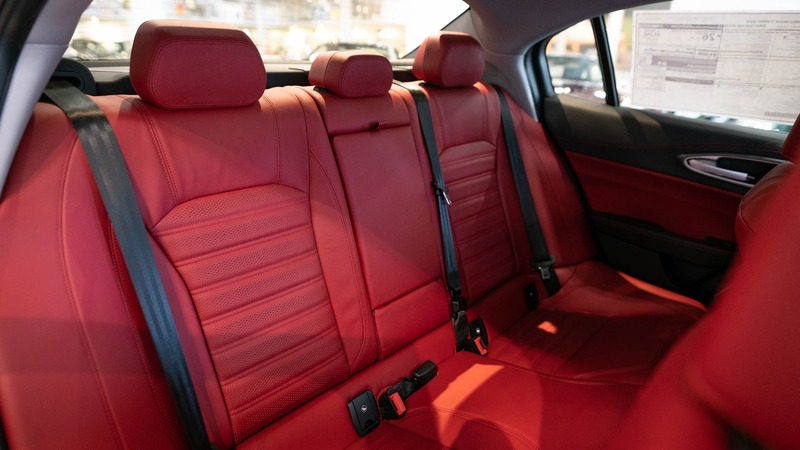 Finished in Trofeo White Tri-Coat with Red Full Leather Sport Seating, this Q4 shows no signs of previous damage or repair, and presents as new. 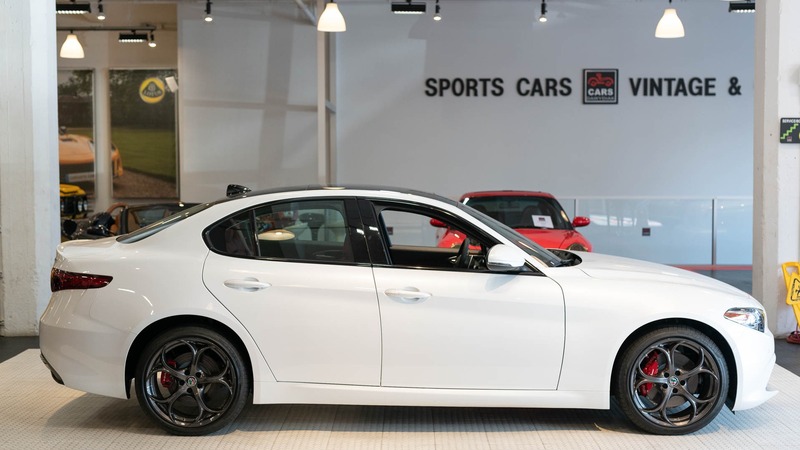 It is extremely well optioned with Sport Package that includes Sport-Tuned Suspension, 19" Dark 5-Hole Sport Aluminum Wheels, Leather Sport Seating, Sport Leather-wrapped Steering wheel, Steering Column Mounted Aluminum Paddle Shifters borrowed directly from Ferrari's Parts Bin, Power Adjustable Side Bolsters, all Ti options, gloss black body accents, window surrounds, aero kit, front spoiler and rear diffuser, and Aluminum Interior Trim ($2,500). 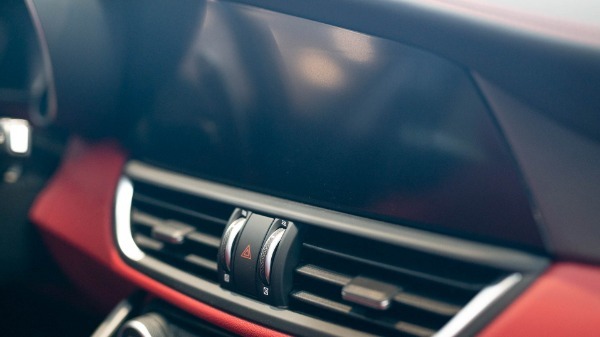 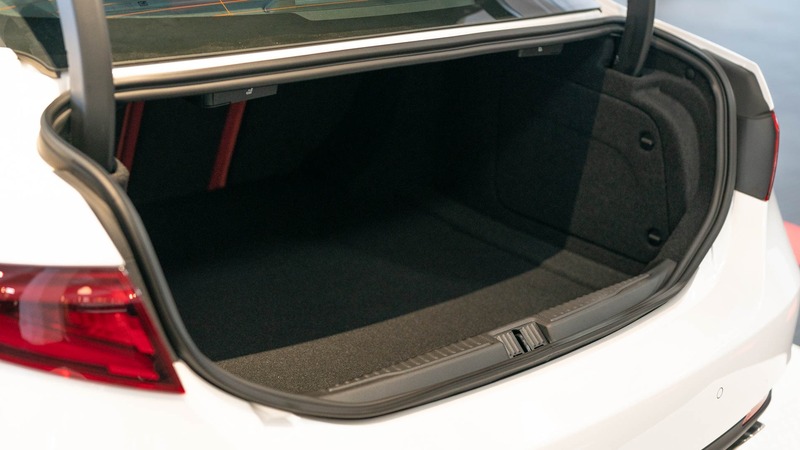 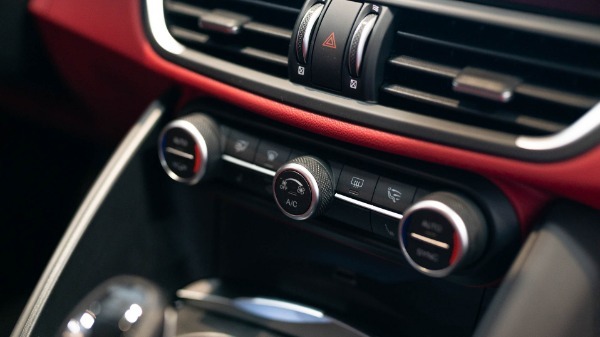 Further options include Glass Panaromic Moonroof ($1,350), Full Leather Package that includes Leather Dash and Upper Door Panels ($995), Harmon/Kardon Audio ($900), 3D Navigation with Bluetooth Radio and 8.8 Inch LCD Display ($950), Driver Assistance Static Package w/ Side Blind Spot and Rear Cross Path Detection ($650), Red Painted Brembo 4-piston Brake Calipers, Trofeo White Tri-Coat Pemium Paint ($2,200) and Apple Car Play/Android Auto Compatibility ($200). 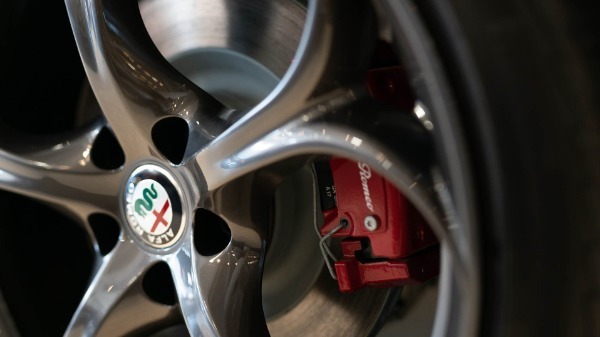 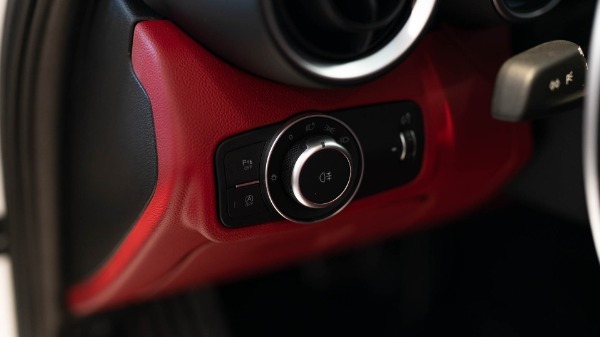 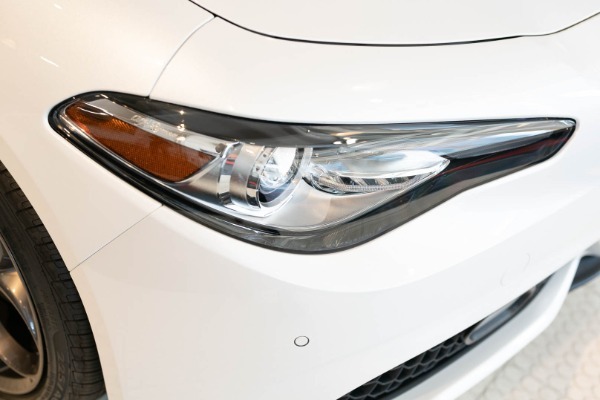 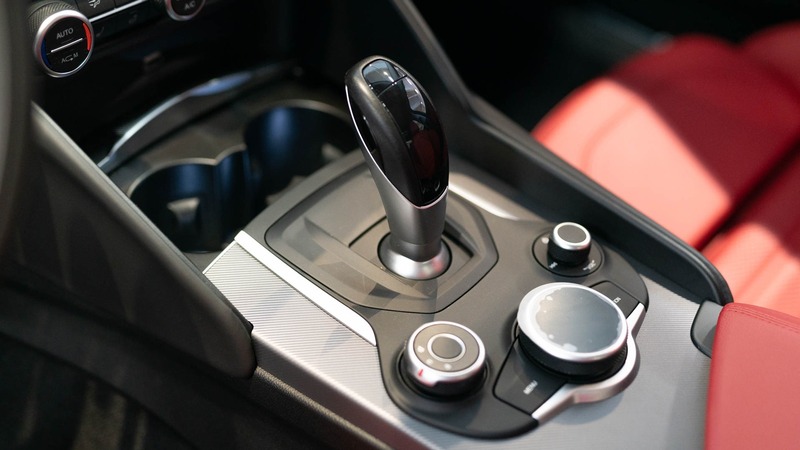 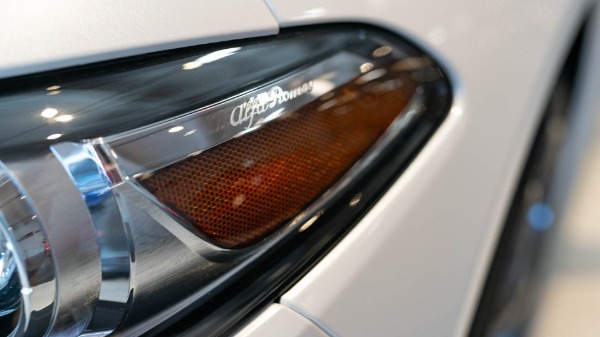 All paint is original to the factory, and both the paint and wheels show no blemishes, scratches or scuffing. All books, manuals as well as both master keys are present. 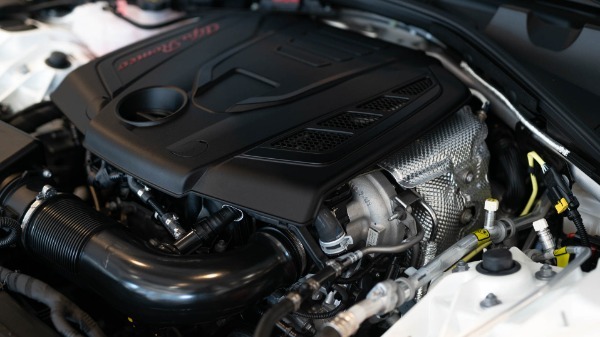 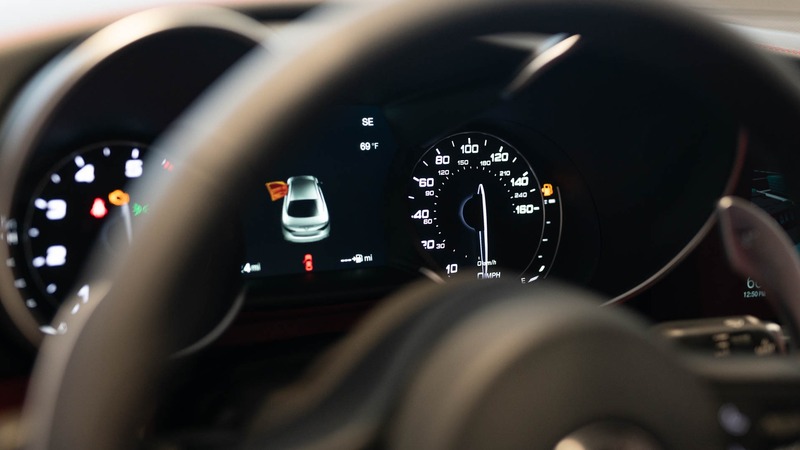 Original MSRP was $52,735.